You may be down, but you’re not out! When it comes to the laning phase in League, you always want to have the best start as you possibly can. Ideally, you would be able to win lane, smash your counterparts, and make them a non-existent threat to your team. Unfortunately, League of Legends often gets messy and you will not always be able to win lane. 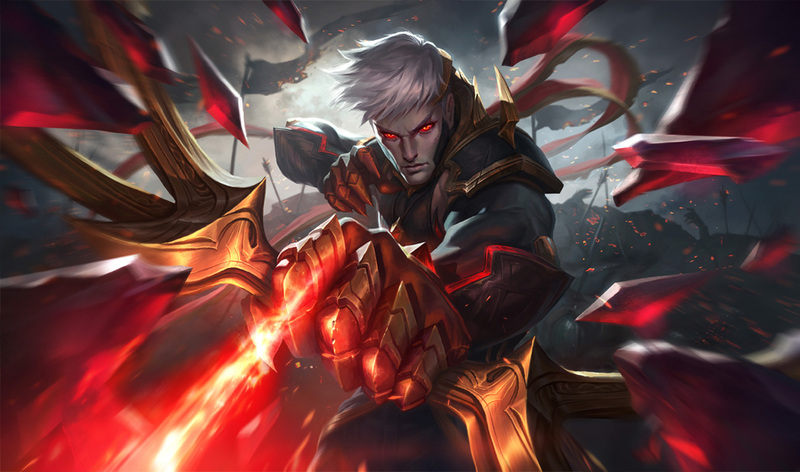 Whether the enemy outclasses you in lane, you get camped by their Jungler, or you run into the classic 5-man bot dive, it can be devastating to lose lane or lose your tower early. With towers being rather weak in the early game, it’s not uncommon for you to lose lane from one mistake. Even in the worst of starts, there are often things you can do to still be serviceable to your team and make an effort to recover and get the victory. In this Mobalytics guide by PicklePants, we will discuss 4 things you can do when you’re behind in lane from the perspective of the ADC and Support. When you’re behind in lane and you’ve have lost your tier 1 tower, it can be very difficult to farm and get gold. To keep up with gold, items, levels, and experience, you need to freeze the minion wave in a favorable position in order to be able to collect these resources. If you’re a champion that scales well into the late game, perhaps more so than the opposing ADC, you can often make a comeback after hitting your item power spikes. After you’ve lost lane, you want to keep the wave closer to your side of the map – near your tower, but outside of the tower’s range. For you to keep the wave in this position, you need to make sure that you only last hit the minions and always allow the minion wave to be in the favour of the enemy with at least 3-4 more enemy minions in the wave. For example, if you have no minions in the lane, you can leave 3 enemy minions and tank them until your minion wave comes (make sure it’s safe to do so of course). If a wave is even on any side of the map, the side it’s on will start pushing towards the other side as reinforcements will get to the wave before the other team’s reinforcements. This is a good place to freeze the wave. In a different situation and not in a losing game, your Support would not be with you. We’ve written an in-depth guide on wave management previously which I’d recommend if you want to learn how to freeze perfectly. You need to freeze the wave in a favorable position for a few reasons. The most notable reason is that you will not be overextended. Being overextended in lane is something you want to avoid because you will be putting yourself in a dangerous position. You can also be denied farm by the enemy, be jumped on by the enemy, and be chased down by enemies. Furthermore, you should keep the wave here so your Support is able to roam without fear of you getting yourself killed. 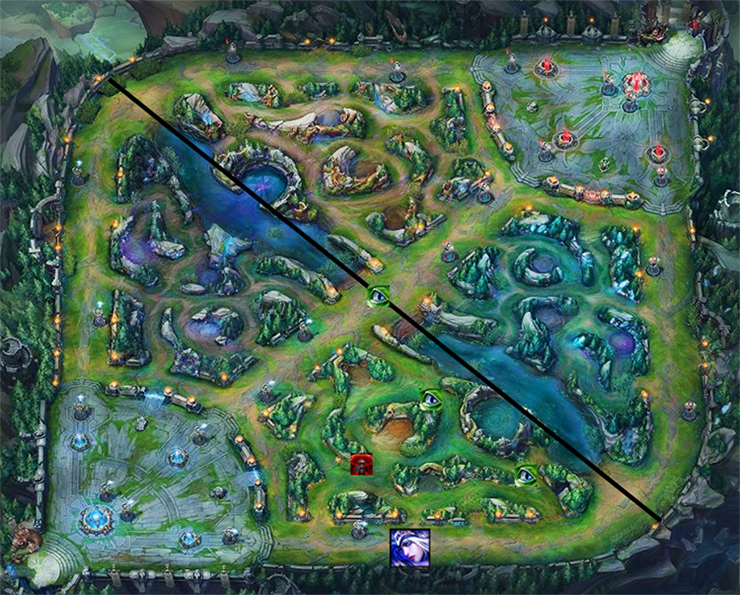 This will also allow them to place a wider range of wards around the map and not have them confined to the bottom lane. With a wider range of wards around the map, they will be able to spot the enemies that are roaming around. If you’re the Support in this situation, you want to have one or two defensive wards protecting your ADC with the rest of your wards around the map spotting the enemy roaming. The ADC can be in the bot lane farming. While they’re there, you can place a few wards nearby to give them some protection. Here are some example places you can ward. Generally speaking, you should keep the freeze going for as long as you have to. If the enemy is efficient and starts applying pressure to other objectives around the map, then you will have to react and stop freezing the wave. Instead, you will need to push the wave to draw the enemies attention back to the lane and then rotate. When the ADC is freezing, there is no point for the Support to be stuck with them. It’s better for the Support to be proactive while their ADC is safe farming. The Support should match the enemies roams and counter them wherever they go. For example, if the bottom laners switch to the mid lane in order to take the tower, you will have to go to the mid lane and help your Mid laner stop them from taking it. There are many places you can go after your lane is over and the best Supports react quickly to every situation. If the enemy are going to the mid lane, the Support should follow. If they’re recalling and are heading top to switch lanes, the Support should also run to the top lane and help the Toplaner out. Olleh, who is currently the Support for Team Liquid, was able to hit rank 1 in NA by making the most of roaming Supports. If there is a Dragon up, the enemy bot may either stay bot or run to the mid lane after recalling. This is because it gives them the opportunity to take the Dragon. If the enemy Top is winning lane, they would generally stay in the bot lane or go to the mid lane. There would be no point in heading top as their Top laner can take the tower on their own. In most games, you will see the enemy rotate to the Mid lane to take the tower and open up the map. Going mid gives the enemy team jungle pressure which will allow them to invade and take away jungle camps. It will also allow them to quickly rotate to either The Rift Herald or The Dragon. Overall, getting the mid lane tower is a good way of continuing to snowball a lead. So, it is important that you do not let the enemy take these type of objectives for free. Make sure that you rotate to prevent them from pounding them down. If the enemy is trying to take down the mid lane, the ADC would also have to rotate and stop the tower from falling. In this case, they would not want to freeze the wave. But instead get the lane pushing to prevent your tower from taking damage while you’re gone. This would also prevent them from switching from the mid lane to the bottom lane after taking the tower. You may remember a time in professional play where the Top and Bottom laners would switch lanes after the first tower has gone. This is a very good macro play to make and there are a few variations of this technique that have caught on in Solo Queue – here’s a variation of this is still alive and well. When this happens, you should try to swap lanes and head top yourself to prevent them from getting another tower. To put this in simple terms, the 2v2 is now in the top side of the map rather than the bottom side. In some cases, the 2v2 will consist of the ADC and Support while in others it may be the Top and Support. Depending on the in-game status and what ELO you’re, some lane swaps will work organically and happen naturally. If this doesn’t happen, you will need to communicate with your team and tell them what you want to do. Switching lanes is important to stop the enemy from taking down all your outer towers. If you lose all your outer towers to the enemy early on, you will be unable to contest or take Dragons, The Rift Herald or towers and your Jungler will be unable to farm safely. Towers are incredibly important and without them, you’re at a disadvantage. This means that you need to protect them. If the enemy is grouping and applying pressure to the mid lane tower, you will both need to go to the mid lane and stop them from taking your tower. While all towers are important, you want to keep the mid tower up for as long as possible to not forfeit all your other towers. For Supports, you want to roam and start grouping with your team to build up the numbers and make any potential tower taking opportunity less apparent. In addition to this, not only will you be saving your towers, but you will also be allowing your laner to get farm and not be denied. If your solo laners are melee, they can be easily zoned off towers and farm just from an enemy numbers advantage. As we can see, roaming and grouping with your team have a range of benefits that not only help yourself but also let your team stay in the game. We talked a lot about what to do after you’ve lost your tower and lost lane. Unlike which some of the more popular streamers suggest, don’t open the game because you’re behind. Everything we suggested in this guide is highly situational and you may think that we are contradicting ourselves with what we suggest or repeating ourselves. Unfortunately, a lot of League of Legends is super situational and there are cases where you need to switch up your gameplan and do something different than what you originally planned. Thanks for reading, we hope you found this article helpful. Do you have any tips additional tips for playing from behind? Let us know in the comments! As always, you can find Picklepants in our Discord if you have any questions. But letting the minion wave pushing won’t make me lose minions? In this case my team’s turret is more important than farming, right?